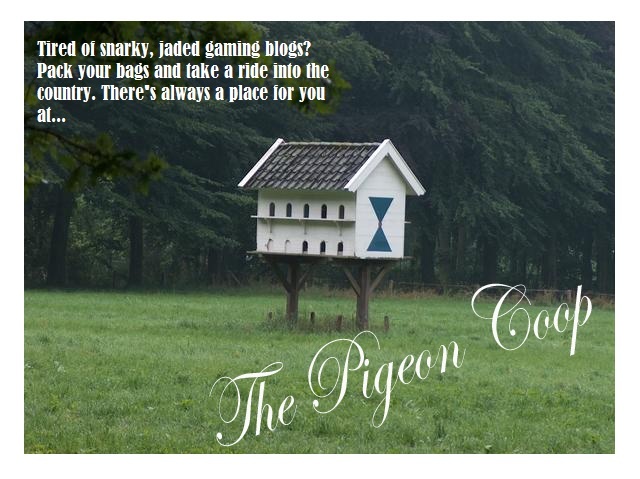 The Pigeon Coop: Blogging to Resume Next Week. Blogging to Resume Next Week. Yo, birds! No, I haven't forgotten about the Coop, nor have I abandoned it. I've just been really swamped with work the last couple of weeks, and it's left me little time for blogging. However, the storm is pretty much over, and I'm ready to get back to work. You'll be getting your Pigeon fix soon enough! Also, if the fates allow it, I'll be attending the inaugural NEPA BlogCon convention on September 29th. So if you're really curious about blogging, social media, and fat, 33 year old nerds who pretend to be pigeons, then by all means come hang out with us! You can get more information at http://www.nepablogcon.com !